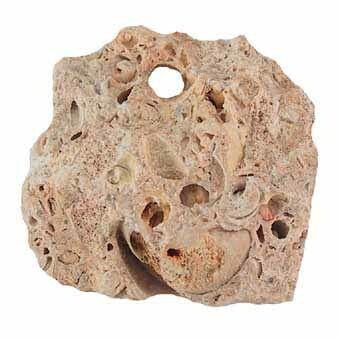 Fossiliferous Limestone is a sedimentary rock containing calcium carbonate. This limestone is of organic origin as is most limestone. It is made up of the remains of mollusks, corals, and other animals that lived on the sea floor. Often bits of shell or their impressions can be seen in this rock.